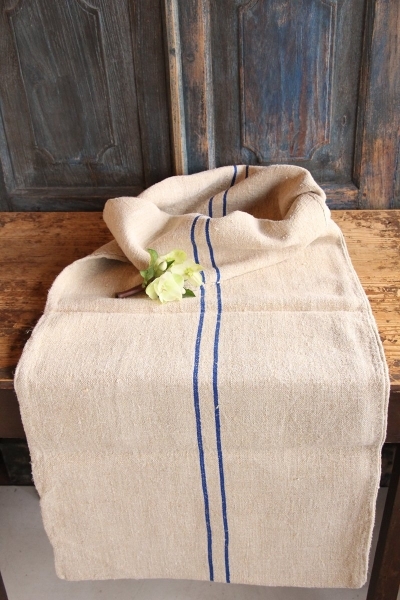 This charming grain sack measures 45.67 inches by 20.08 inches. 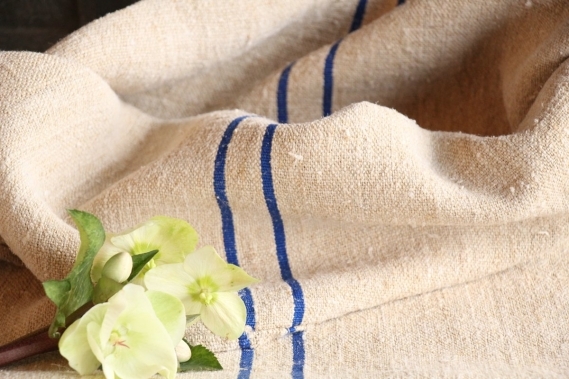 It measures 116 cm by 51 cm. 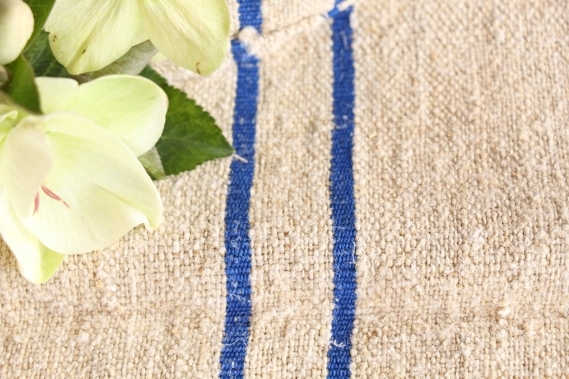 it has the most amazing CORNFLOWER BLUE colored stripes, which are so decorative and stunning. 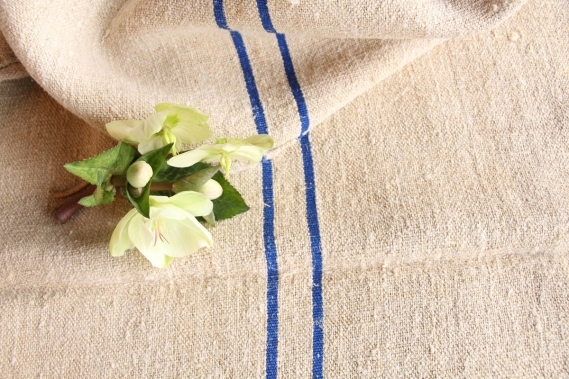 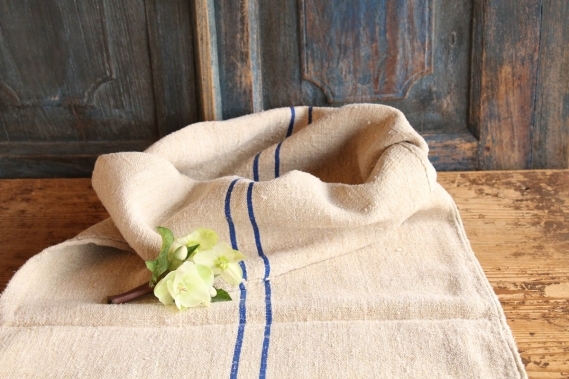 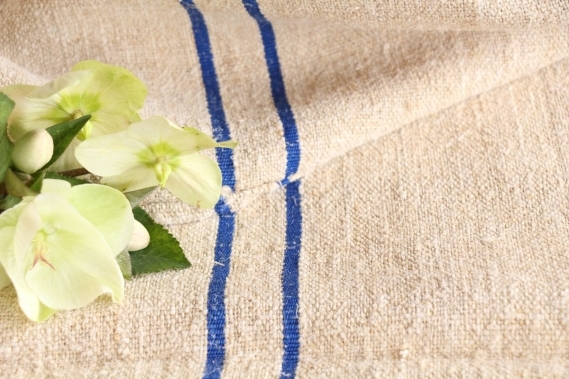 The linen itself has a OATMEAL color.